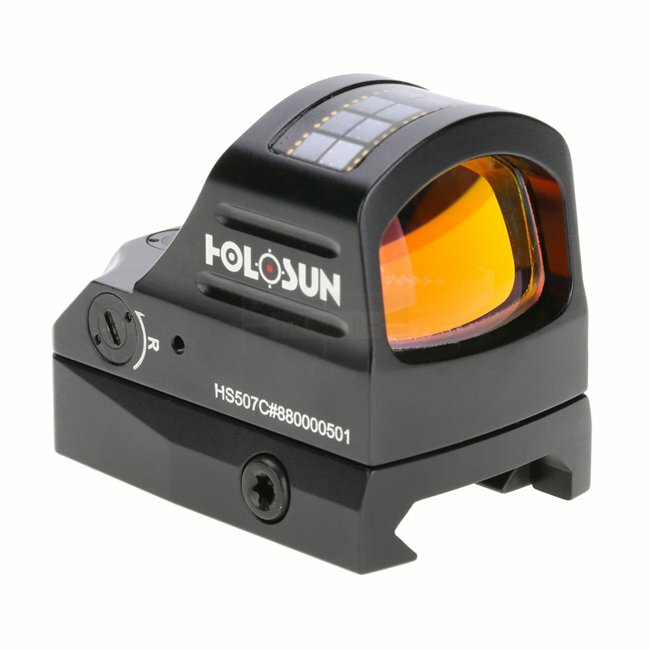 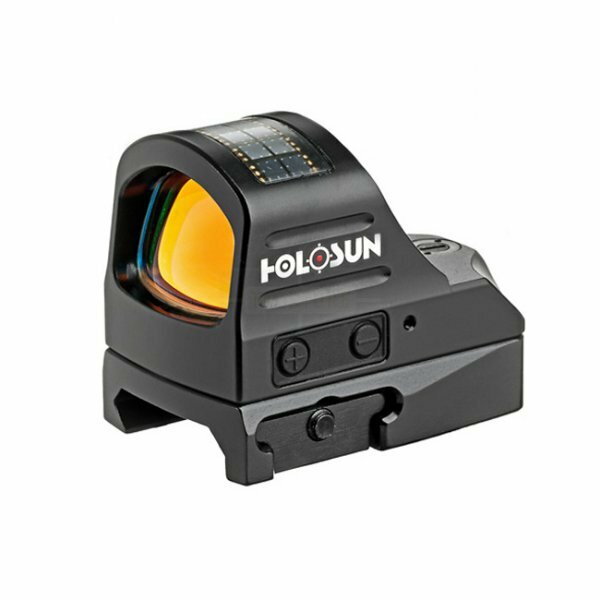 The Holosun HS507C Micro Red Dot is a pistol-sized optic with an open frame for a large view, with clear glass and a rugged 7075 aluminum housing. 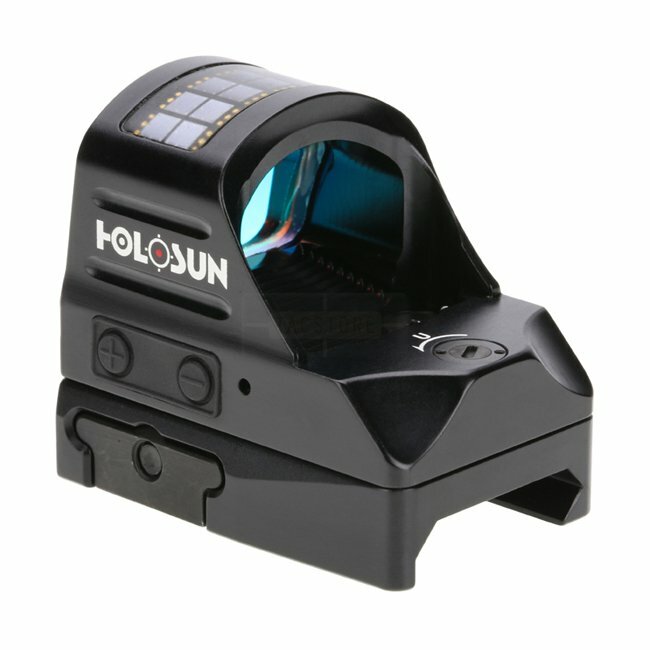 It is powered by a CR2032 battery and Holosun’s innovative Solar Fail-safe back up. The HS507C will run up to 10 years on a single battery on setting 6 (dot only). 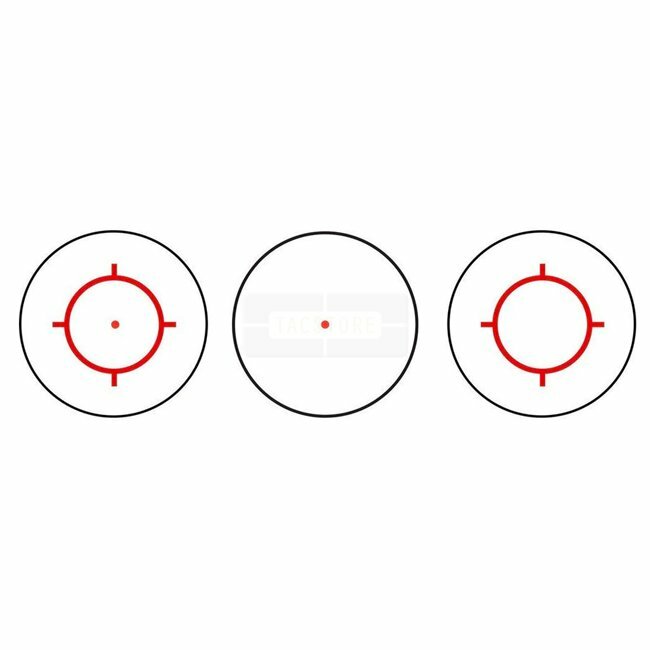 Featuring the Multi-reticle system, the HS507C allows the operator to switch between a 32 MOA circle with a 2 MOA dot, a 2 MOA dot only, or a 32 MOA ring only, all at the push of a button. 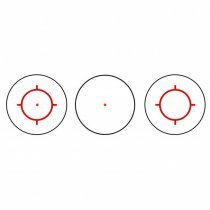 Better yet, the same LED projects all three reticles, so no re-zeroing is necessary. It comes equipped with Holosun's Shake Awake technology with last setting recall. 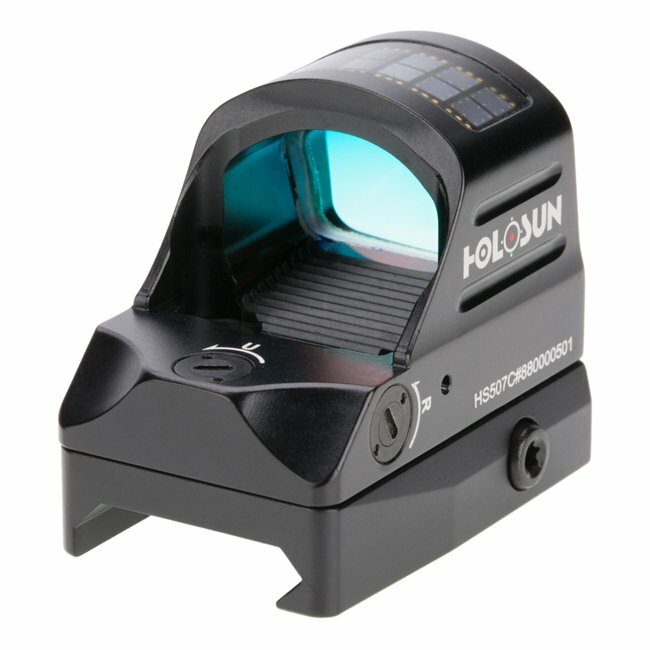 This optic has all features in one tough, small package and is compatible with Trijicon RMR footprint mounts.